Celebrate the 150th anniversary of Lewis Carroll's "Alice in Wonderland"
Grade 5/6 standard and Grade 2/3 standard, see "Script & Songs" below. A BRAND NEW product; a CD-ROM or download of all the songs called "Sing it!" is available. This CD-ROM or download can teach the songs to the children without any teacher input. Children can use it at school or at home - think of the time it will save you! Most schools use it in class on an interactive white board or in the school hall on the overhead projector to allow full cast practice. The latest Mk.3 version allows Lyrics on or off, Vocals on or off and the facility to practise one line at a time - all features are ssablessible instantly with one click. Children LOVE learning this way and the product is foolproof. "Yesterday we bought this production and we must admit it's awesome. We are spellbound. The quality of the audios is great. The Sing it! software - well, we love it!!! Congratulations on your work. It's a pity we were not told about you years before. " "Fantastic! This was the first production that I had organised and co-ordinated. I found the script to be brilliantly written and the songs were so catchy, I had the staff singing everywhere they went! There was lots of additional information within the script package, on the characters and stage directions, which helped with the overall performance. We had over 70 performers, ranging from 4-11 years old and they all really enjoyed it. 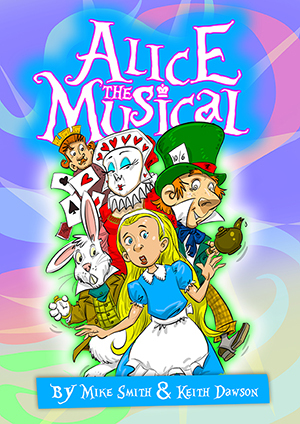 Would highly recommend Alice the Musical." "I have been putting on plays with Year 6 for the past 15 years. However , this is certainly the best one and was highly successful. I have never had so many compliments from so many people. As i am retiring this year it was great to end with such a successful show. The songs were not easy , but the children and the choir from year 3, 4 and 5 so enjoyed them and amazed everyone with how well they performed them. The idea of using someone under a table which was then lifted up was fantastic and worked so well. Thank you for such a great play." "Fantastic! A great success with super music and script. 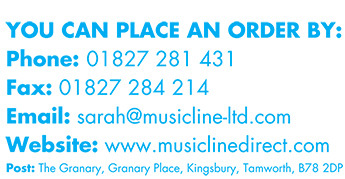 Our third Musicline production and, yet again, we were not disappointed!" "The children loved performing this show and the audience thought it was fabulous. Excellent lyrics and music - highly recommended." "I performed in this show some years ago. Fantastic songs and setting of the well known story. There were over 150 performers - hellava lot of rabbits!"